This was on a friend’s Facebook page…abuse of horticulture AND the apostrophe. 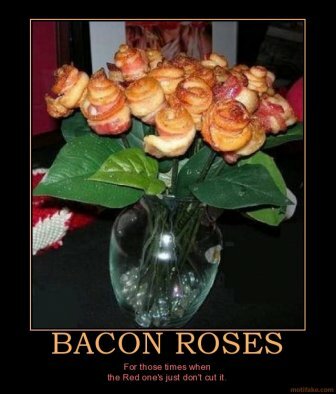 Bacon makes everything better, including roses. Certainly not any Jews or Muslims. I’m more disturbed by the bacon. Who would you send this too?